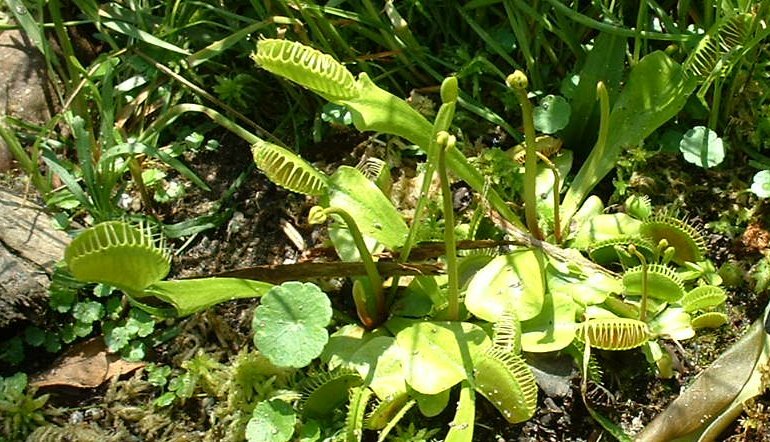 The Green Swamp is in part of the small range of the Venus Flytrap. These carnivorous plants are perhaps the most famous of the plants that obtain part of their nitrogen from insects and other animal sources but there are others such as pitcher plants, bladderworts and sundews. All of these organisms have adapted to environments with low nitrogen in the soils on which they grow. The Longleaf/Slash Pine forest type is also in the swamp.